The Moulin de la Galette is a windmill and restaurant situated near the top of the district of Montmartre in Paris. 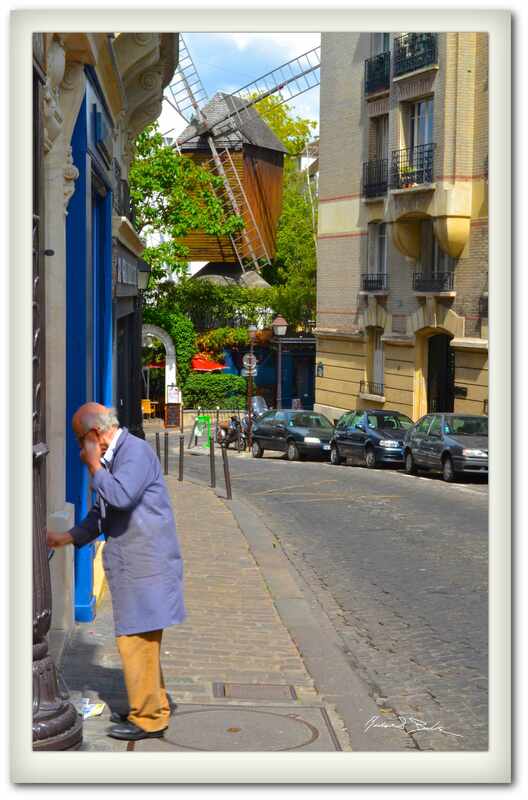 It has been there since the 17th Century and at its base is the Le Moulin de la Galette which was the “hangout” of famous artists such as Renoir, van Gogh, and Pissarro. 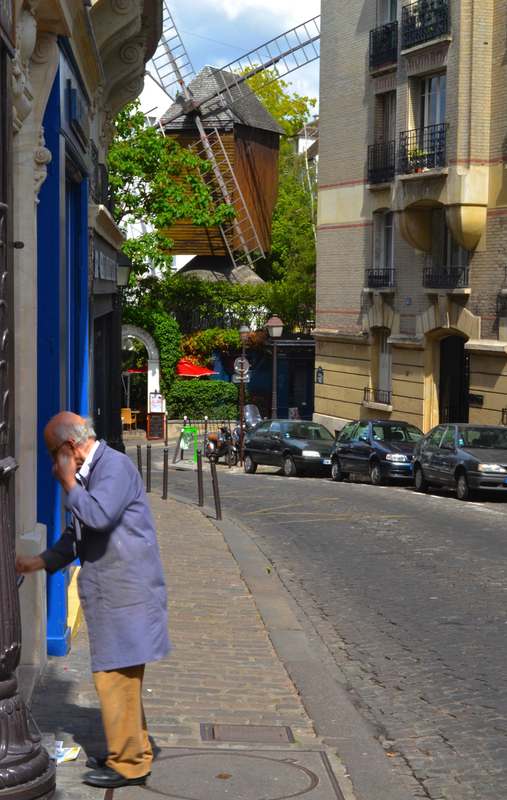 Le Moulin is still there and this shop keeper is opening his store in the early morning in Montmartre. If someone would have told me there was a windmill in the center of Paris, I would have doubted them. Silly me because as we climbed the hill on Montmartre, there it was. Larger than life and looking more French than Dutch. It is right behind the Moulin Cafe and near the Basilica. You can buy a print of this image of my commercial site by clicking here.